Helicopters is a band that might just be your next big favorite, that is, if you’re into electronic pop, crisp sounding guitars and some trippy airy vocals. Made up of Jason Caldeira, Brian Fifield and Dave Moran, the band is proud to admit that everything about them and their process is completely indie; from the songwriting, recording, producing and promoting their records, it’s all just the three of them. 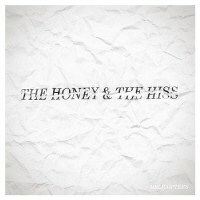 Honey and the Hiss is the group’s 5th full length album and released under the boys own label, FlyCasual Records. According to the band, this latest compilation is “an exercise in the lush, layered interpolation of seemingly disparate sounds, organic textures and electrified glitch, all wrapped in a blanket of cozy pop songwriting.” This “cozy pop songwriting” is evident in all of the tracks in the record. Opening single True To My Words, starts with a funky guitar riff and soft synth vocals. The beat is slightly uptempo but not exactly an all-out dance track. Layers of drums, bass, keys and soft vocals would litter the song and is a common denominator in the rest of the tracks. The first half of the compilation deals mostly with a semi-upbeat rhythm, but by the time you reach the latter half the songs slow down and slightly drag on. One nice laid back cut worth nothing though is Patron Saint of Paranoia. There’s a hint of indie folk on there mixed with the occasional fuzz of the synths. The entire record is then capped with 11:11, a somber and moody instrumental track. Overall, I think the album is pretty good for anybody who loves electronic pop music. Personally, the genre isn’t my cup of tea but there are songs in here that are making it into my weekly playlist. Give it a listen. The album is available at a pay-what-you-want option over at BandCamp.